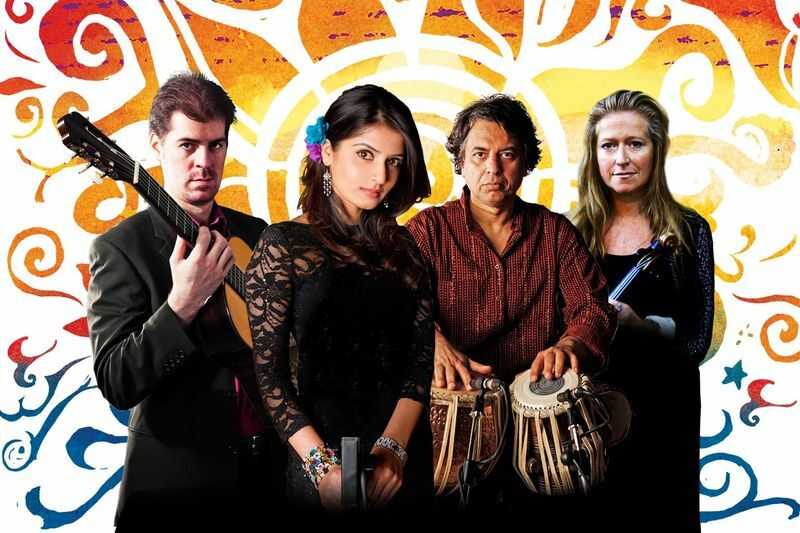 Simon Thacker’s Indian-Western supergroup Svara-Kanti will be performing at Southbank Centre’s Purcell Room in London as part of the Alchemy Festival on Wed 18th April (7.45pm). The tickets are normally £13/£10 but with this offer, simply quote SVARAKANTI when booking online, by phone or in person and get the best available tickets for only £5. Svara-Kanti will be premiering major commissions by legendary American pioneer Terry Riley, British intercultural master Nigel Osborne, India's greatest composer Shirish Korde and Simon Thacker himself in the intimate atmosphere of the Purcell Room at Southbank Centre. This is possibly one of the most ambitious and wide ranging, UK-based Indian-Western programmes of recent years. The concert will also feature the beautiful voice of Japjit Kaur, the internationally renowned tabla player Sarvar Sabri, who has a musical lineage stretching back ten generations to the Royal Court of the Mughal Emperor Akbar, and acclaimed international violinist and leader of Britten Sinfonia Jacqueline Shave. Svara-Kanti brings together four leading performers in Indian classical, contemporary Asian and Western classical music to combine two of the world's greatest and most diverse musical cultures, creating powerful new music using the classical, folk, spiritual and film music traditions of India as a basis.